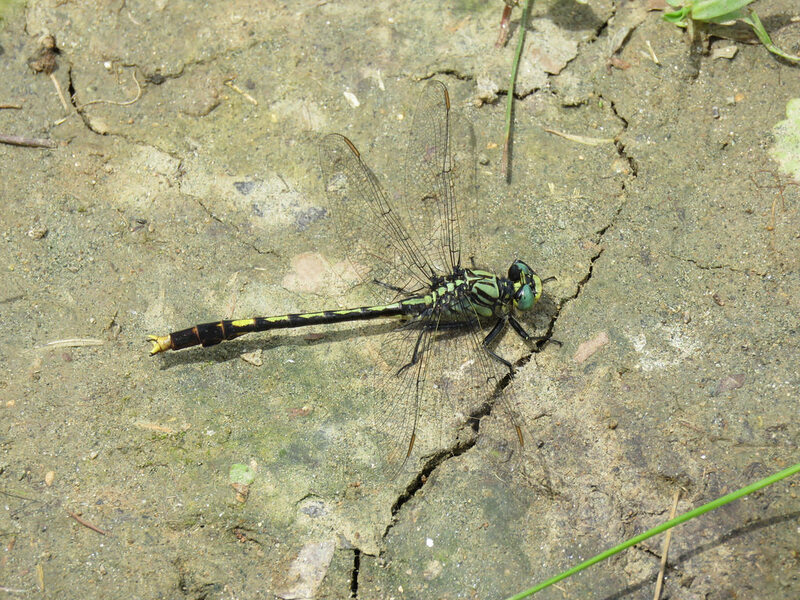 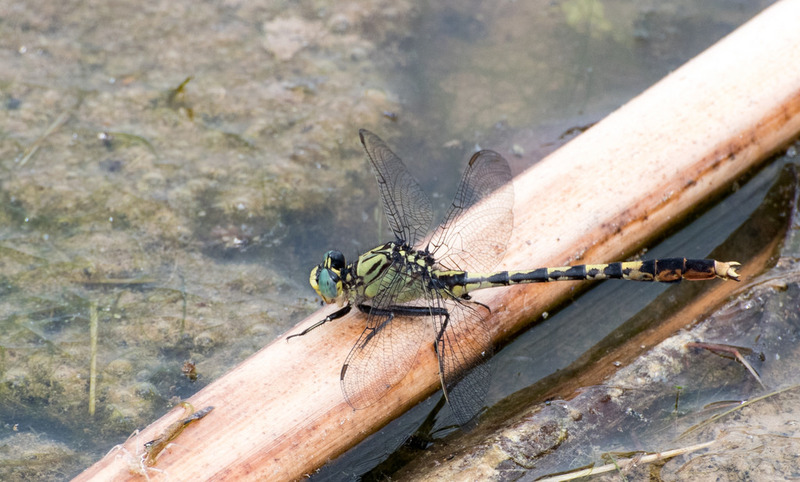 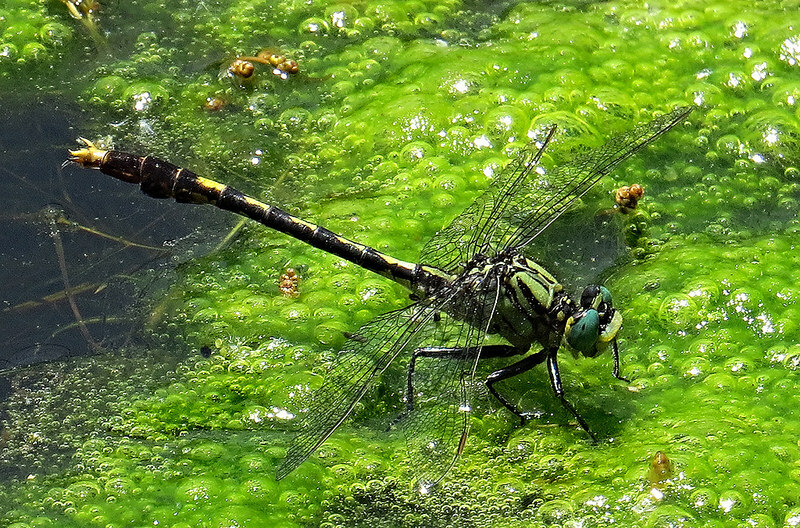 Unicorn Clubtail (Arigomphus villosipes) is named for the conspicuous projection on the occiput, the posterior region of the top of the head, between the eyes. 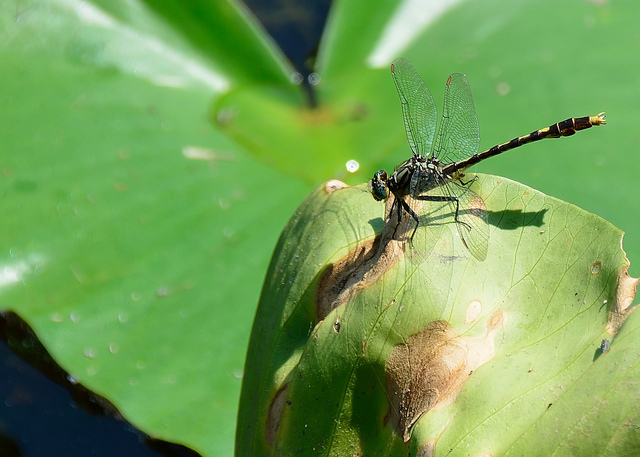 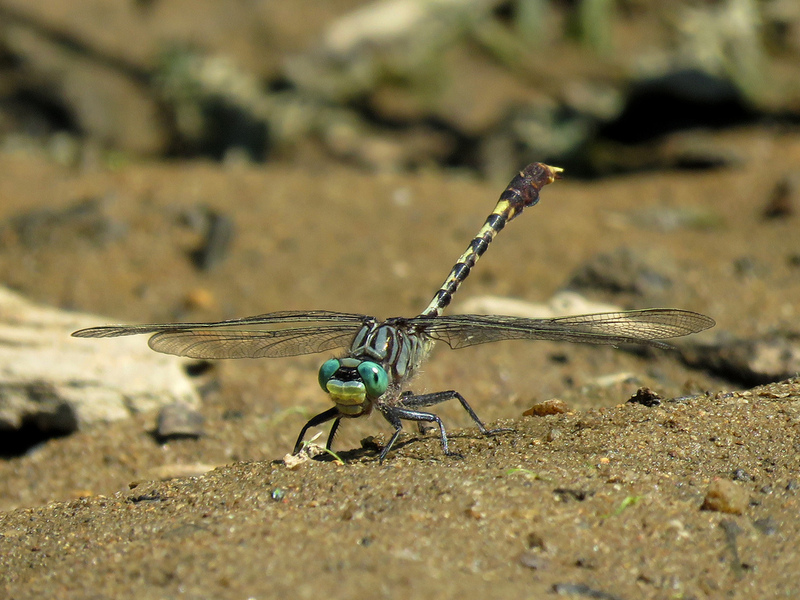 This dragonfly prefers stillwater habitats, like ponds,lakes, or slow sections of creeks, with a mud substrate and generally without dense aquatic vegetation. 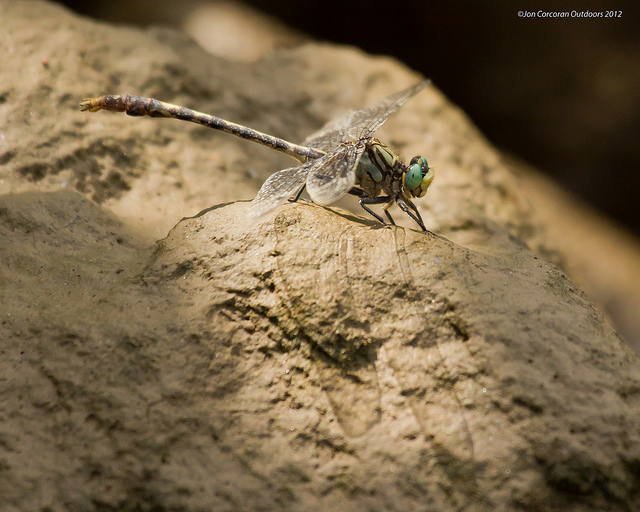 It is usually found perched on the banks, or on floating plants or algae (Dunkle, 2000). 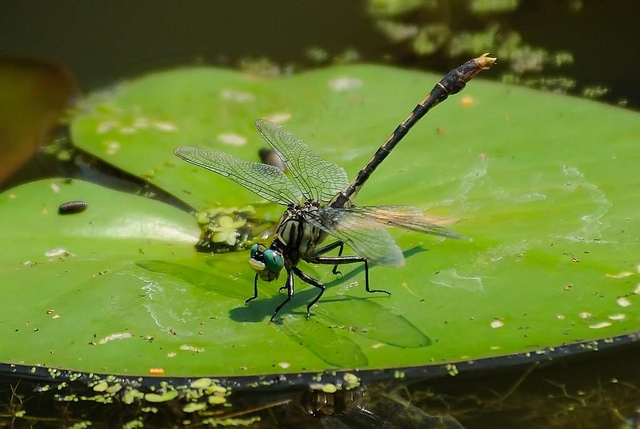 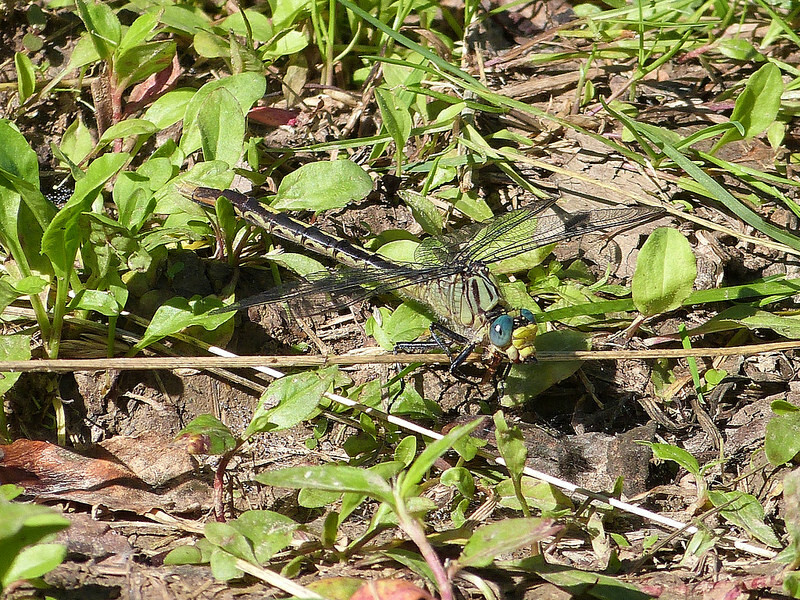 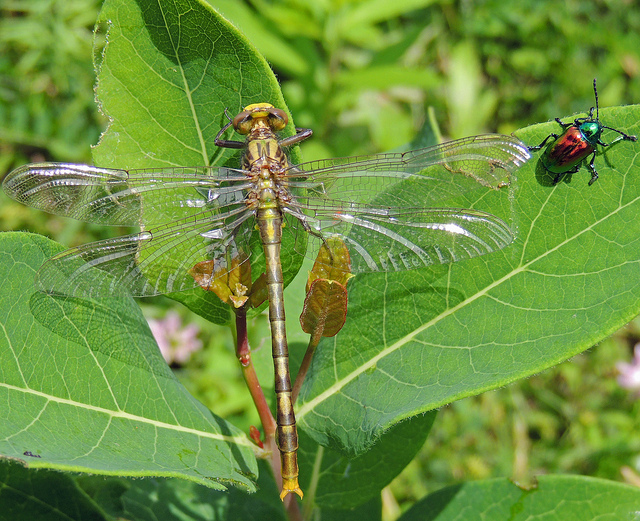 In Maryland, this species is widespread, with records from nearly every county, although evidently it does not occur in large numbers (Richard Orr's The Dragonflies and Damselflies of Maryland and the District of Columbia). 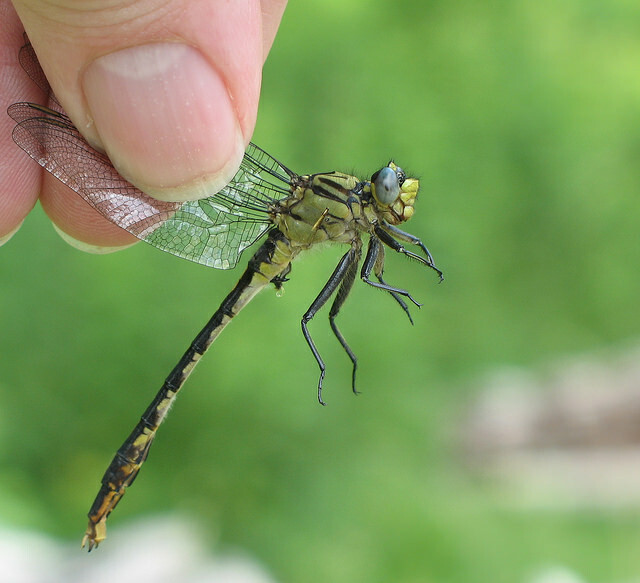 There are 196 records in the project database.